At Platinum Auto Doors, we provide a professional automatic door installation service for customers across Melbourne. So, if you need new doors installed or would like to replace your existing automatic doors with updated versions, then we can help. Our experienced team of technicians can handle all types of jobs and will work quickly to ensure minimal disruption to your daily operations. Meanwhile, once the doors are installed, we can continue to keep them in good working order by carrying out regular servicing checks for your added convenience. 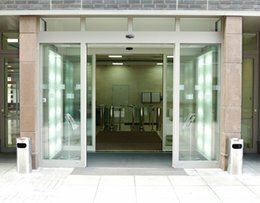 Following installation, it’s important to keep your automatic doors in good condition with a regular comprehensive service. This will ensure safe operation whilst prolonging the life of the door operator and maintaining optimal performance of the doors. It will also safeguard your doors from potential breakdowns, and our team can perform these checks at your convenience. Visiting your site, we’ll carry out a full inspection of your automatic doors, including comprehensive testing and servicing which complies with Australian Standard AS5007-2007. If we detect any problems which require further repairs, then the doors will be left in a stable and safe condition and we will quote you for any further work provided. We can, however, also carry out the repairs then and there, as requested, as our vehicles are always stocked with a large variety of parts. If this is the case, then we’ll provide you with a report of the work done for your records. If you’d like to find out more about our Comprehensive Maintenance Agreement for your automatic doors, then please talk to our team.